Dillin’s versatile Multi-Laned Accumulation allows for product to be accumulated by diverting product off-line into multiple lanes during minor equipment downtime events or change-overs. Products are then merged back into the main production line when steady state is achieved. Strategically positioning this style accumulator downstream of high value producers such as a Filler, Capper or Labeler allows for consistent production flow ensuring optimum production performance. 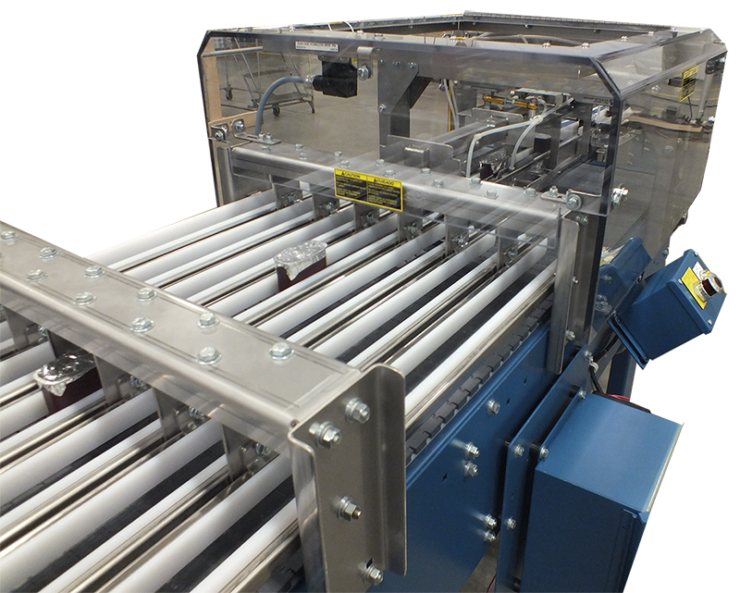 This Horizontal Multi-Laned Accumulation can be integrated with Dillin’s: Product Handling Conveyors, Merge/Divert Stations, Slat Sorters or Automatic Lidders/Cappers to complete your production system requirements. Versatile servo cylinder diverts product into dedicated accumulation lanes when required. Product is re-introduced back onto main production line when steady state is once again achieved. Equipped in dedicated product lanes or mass flow style. Laned style accumulator allows for controlled and methodical means of storing products during accumulation periods.